My son absolutely loves the movies from this boxed set and he would watch Frosty the Snowman and Frosty Returns every day if he could! I love watching the old classic holiday movies that I watched when I was young and I love passing these traditional movies to my children! Also, check out this fun ‘Wish List’. It is a fun take on a timeless tradition and you can print it out and use it for your children and loved ones! 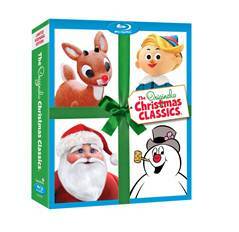 Buy It: You can purchase the Original Christmas Classics collection for a SRP of $44.95 and will be available wherever Blu-rays are sold. Win It: (1) Original Christmas Classics to a lucky winner! I will always love watching this with my family around the holidays.